Why is Jamba Juice Called Jamba Juice? Jamba Juice really has the corner on the delicious pseudo-healthy smoothie market. Nowadays, a Jamba Juice and a smoothie are practically synonymous. There are over 875 Jamba Juice locations worldwide, making it the most popular smoothie restaurant in the world. With its innovative flavor combinations, its fresh ingredients, its bright and fun style, and its healthy-ish options, Jamba Juice has been a hit ever since it was first established less than 30 years ago by a California college student. Why is it Called Jamba Juice? Jamba Juice was founded in San Luis Obispo by Kirk Perron in 1990. Perron was a cyclist and healthy lifestyle advocate. 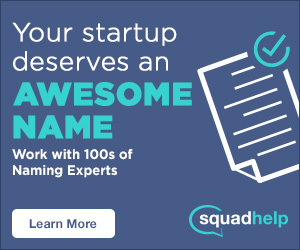 He was also a student at California Polytechnic State University studying business administration, and Jamba Juice was his senior project (other famous CPSU grads include “Weird Al” Yankovic and the guy who created Urban Dictionary!) An avid smoothie drinker himself, Perron thought a healthy smoothie restaurant was a golden untapped market in California. Multiple banks disagreed with him and turned him down for loans, but his mom saved the day and lent him money. 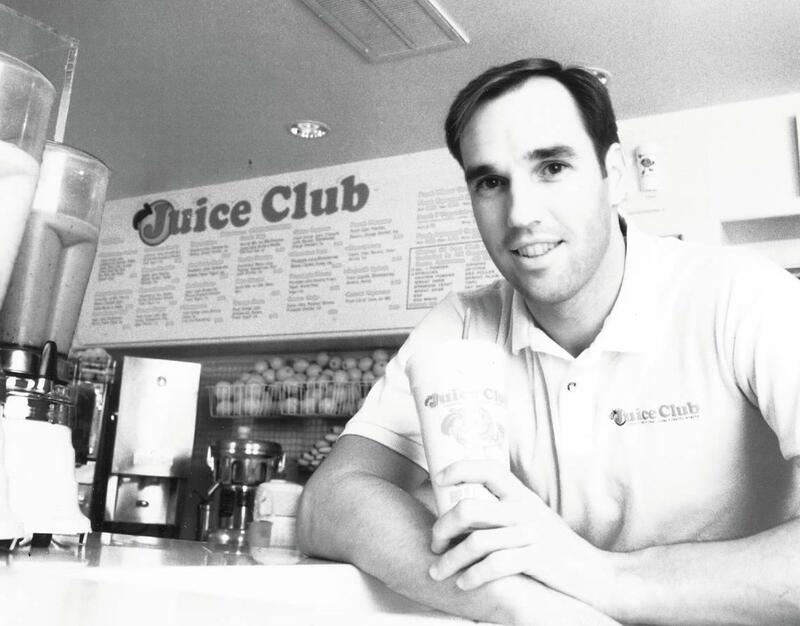 Perron was then able to take his school project a step further and opened up a smoothie restaurant called Juice Club along with three of his fellow students. Turns out, Perron’s idea was a good one – during Juice Club’s first weekend open, they had 2,600 customers! Juice Club expanded rapidly and eventually outgrew its generic name. With a lot of imitators beginning to enter the smoothie business, most of whose names also began with the word “juice,” Perron wanted his company’s name and style to stand out. In 1995, Juice Club became Jamba Juice. “Jamba” was a play on the Swahili word “jama,” meaning “to celebrate.” The name change also introduced a departure from the common and bland health-store look – Jamba Juice’s vibe was transformed to be fun, festive, and high-quality, a celebration of the healthy lifestyle. Jamba Juice is celebration juice! Jamba Juice had such success in the beginning, that in 1999, they acquired a popular Utah-based competitor called Zuka Juice. Since then they have expanded into 26 states, the Bahamas, Canada, the Philippines, Mexico, South Korea, Taiwan, Thailand, and the United Arab Emirates. It remains the most popular smoothie restaurant in the world by far. 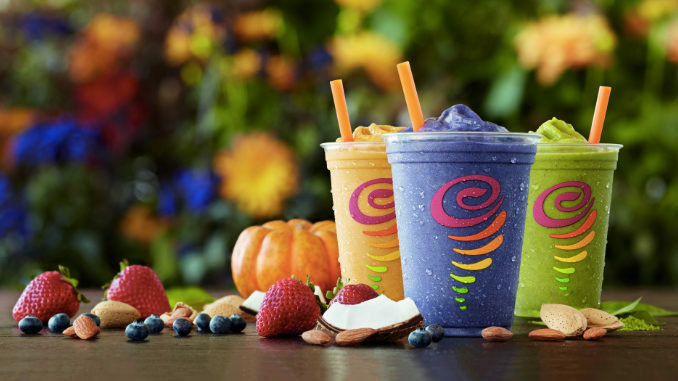 Though Jamba Juice’s main focus is certainly still on smoothies, today it offers a number of other menu items, including wraps, sandwiches, pretzels, oatmeal, acai bowls, waffles, teas, and even pizza. It also has a fun secret menu that’s nearly as exhaustive as its regular one – featuring drink flavors such as Fruity Pebbles, White Gummy Bear, Pink Starburst, Apple Pie and many more. Personally, my favorite Jamba Juice smoothies are Strawberry Surf Rider and White Gummy Bear. What’s your favorite thing to order at Jamba Juice? Have you ever ordered anything off the secret menu? And, if you haven’t done so already, don’t forget to join their rewards program – it’s free to join and you’ll get a blend of benefits!